In 1963, J.W. 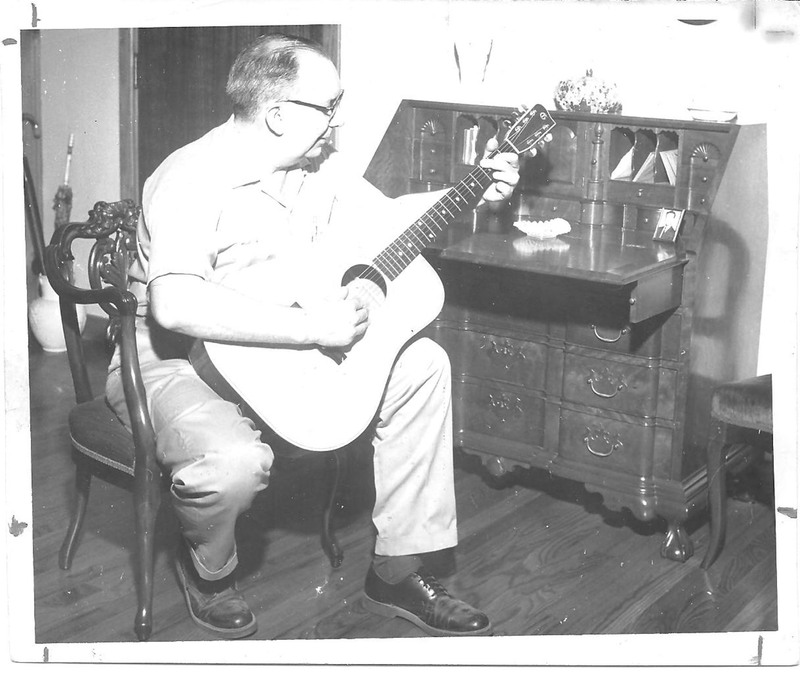 Gallagher, a skilled woodworker, sawed a dreadnought guitar in half in order to figure out how it was made. J.W. 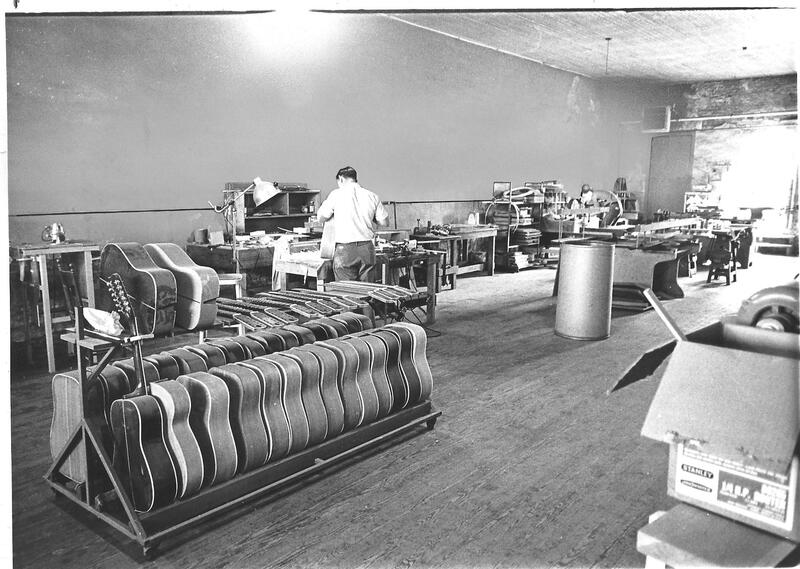 had recently lost his job making scale-model airplanes and rockets when the Slingerland drum factory in Shelbyville, Tenn., hired him to set up a production line for their new Shelby guitar. The Shelby was an inexpensive guitar that served as Slingerland’s foray outside of drumstick making. J.W. and his son, Don, worked in the Slingerland factory for a few years, but J.W. wanted to build instruments with the same quality and care that he put into his furniture. So, in 1965, J.W. 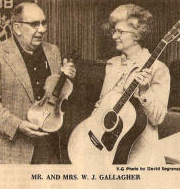 Gallagher built the first Gallagher guitar. J.W. and Don attended the Fiddler’s Convention at Union Grove in 1969. They brought two guitars to show around – a rosewood G-70 and a mahogany G-50. J.W. didn’t want to sell the G-50 because it had been cracked in production, but they brought it so people could try playing the two different models. It was at this festival where J.W. 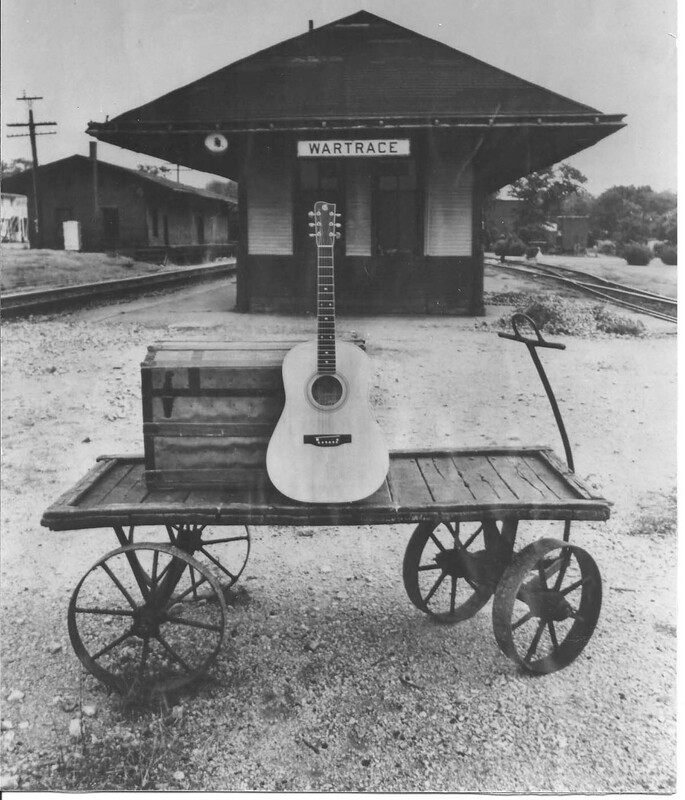 first saw legendary guitarist Doc Watson. He introduced himself while Doc and his son, Merle, were picking under a tree. After the festival, J.W. and Don stopped by Doc’s house so Doc could try out the guitars. Doc was partial to the G-50, but J.W. hadn’t wanted the blemished instrument to be out in the world, so they made a deal. J.W. allowed Doc to have the guitar and play it for as long as he wanted, so long as he gave it back when he didn’t want to play it anymore. J.W. 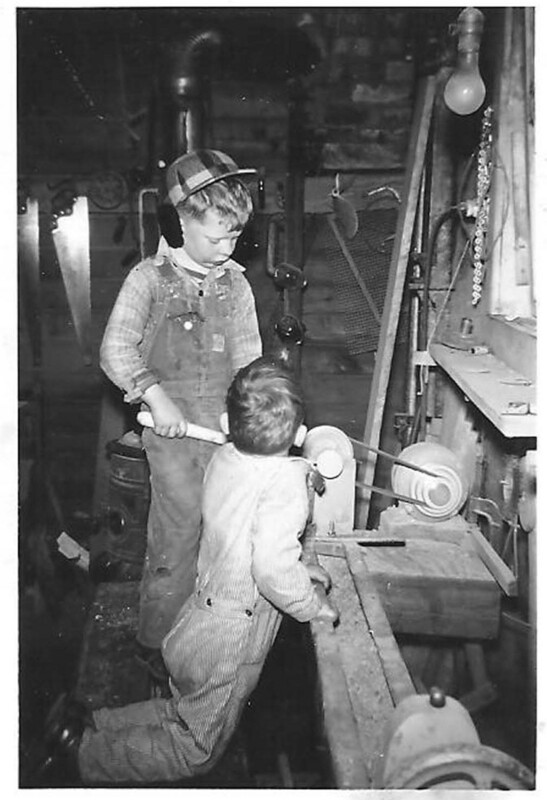 retired in 1976 and Don assumed the responsibility of operating the shop. 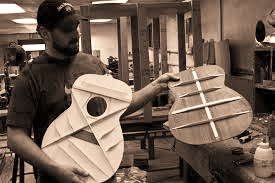 Don was instrumental in developing the longevity of the business and in bringing traditional guitar making into the 21st century. In 2015, Don’s son Stephen became the 3rd generation to continue the legacy of Gallagher Guitar Co.
Gallagher guitars are built by hand in limited number. Making a Gallagher guitar takes 3 months and 70-80 hours of labor. 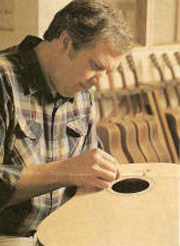 The workmanship on all Gallagher guitars is the same regardless of price or model. The difference in cost of the various models is governed by the cost of materials and the amount and type of trim used. Shop open by appointment only. 7 Main Street / P.O. Box 104 Wartrace, Tenn.